An open repair. An incision is used to detach the deltoid (the largest shoulder muscle) so the torn cuff can be visualized and repaired. An arthroscopic repair. The use of tiny cameras and instruments allow the surgeon to visualize and repair the cuff—incisions are small and the deltoid is not detached. A mini-open repair. The surgeon uses arthroscopic equipment to visualize the shoulder joint and fix any abnormalities, such as torn cartilage and bone spurs. Once the joint has been restored, a relatively small (3-5 cm) incision is used to repair the cuff. Regardless of the procedure, the goal of surgery is always the same: restore shoulder anatomy and function by reattaching the cuff. This goal is accomplished through the use of special suturing and stitching techniques and advanced orthopedic devices known as suture anchors. 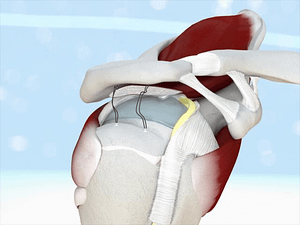 Once the rotator cuff has been reattached, it’s able to heal and regain strength. 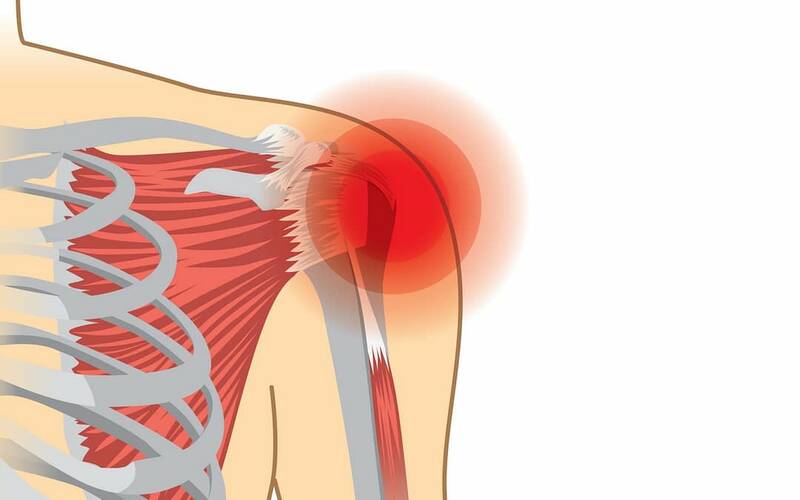 Rotator cuff repairs are (generally) a 1-2-hour outpatient procedure. After two weeks of recovery, physical therapy—one of the key elements of a successful recovery—is usually started. Patients who adhere to the advice and treatment plan prescribed by their orthopedic surgeon and physical therapist can expect a full recovery in 6 or more months. If you or someone you know has injured their shoulder, please don’t hesitate to contact one of our 3 New Jersey offices to arrange an appointment with one of our specialists.